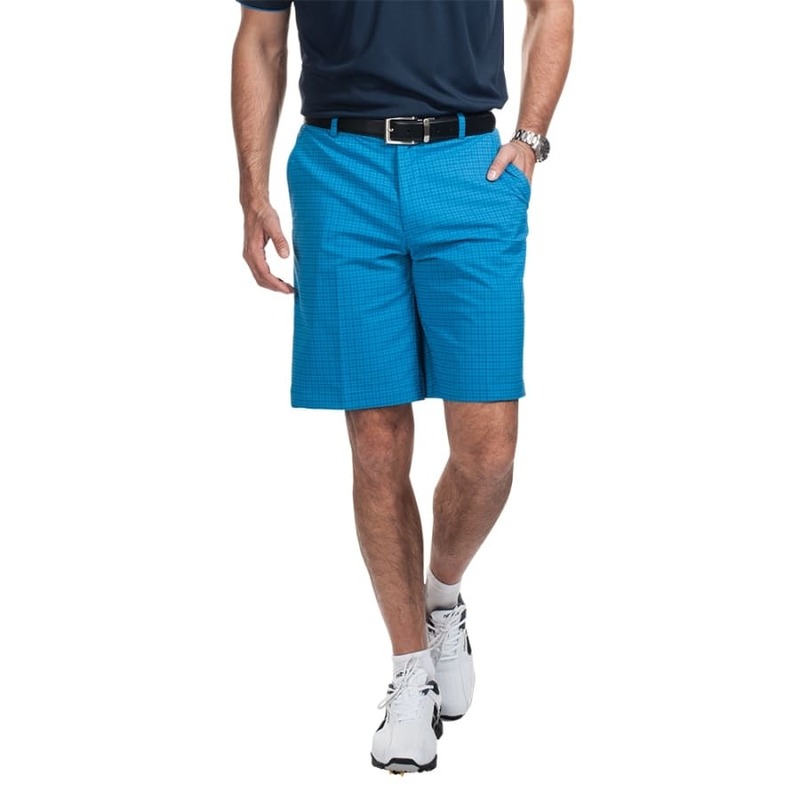 95% Dri-Sporte™, 5% Spandex moisture wicking flat front short with front slash pockets. Yarn dyed Gary check. 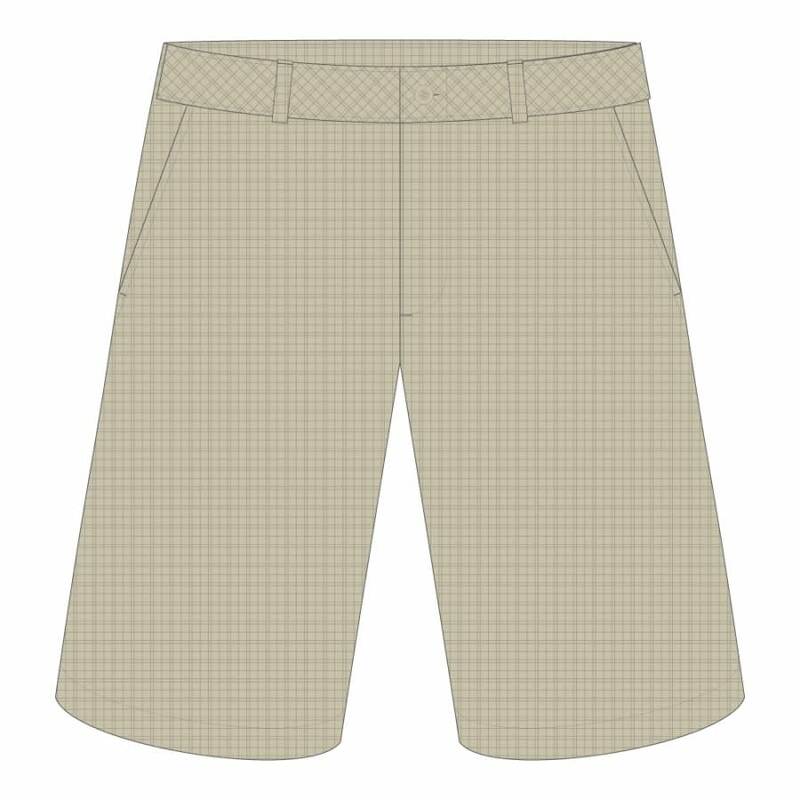 2 rear welt pockets, left with button closure. 5 belt loops.